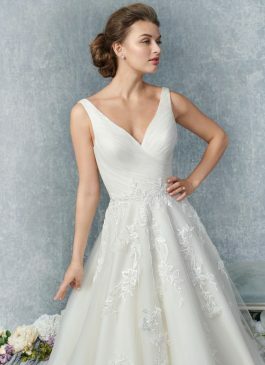 A-Line, with sweetheart neckline, dropped waist, and chapel train. 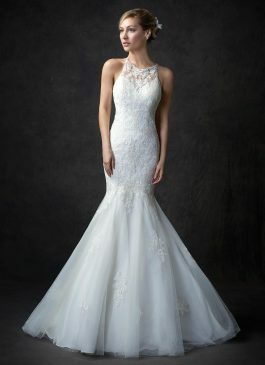 Strapless dress with beaded belt at natural waistline, easy mermaid silhouette with sheer illusion, button/loop back zip closure, and sheer lace applique train. 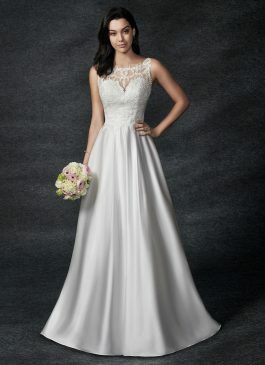 A sheath wedding dress, with halter neck, dropped waist, and sweep train. 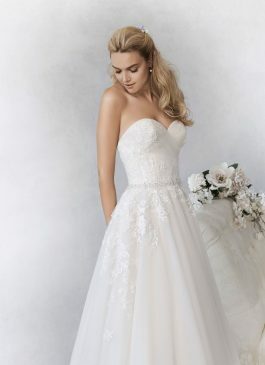 Pretty A-line wedding gown with a cotton lace and delicate sparkle bodice and tulle skirt. 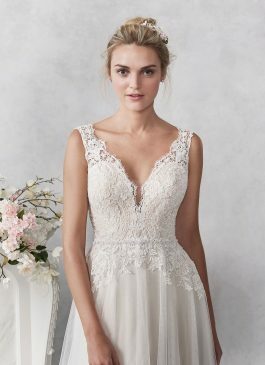 Plunge v-neck and low key hole back. 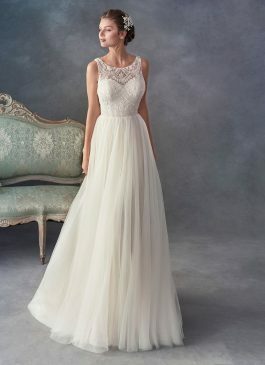 Elegant a-line wedding gown with embroidered cotton lace illusion front and back, the tulle skirt has a stretch lining for ultimate comfort! 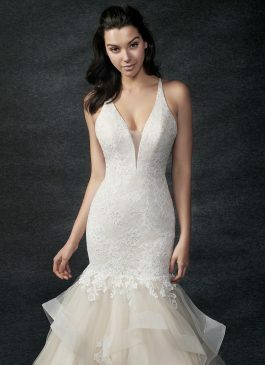 Mermaid style dress with plunge neckline, dropped waist, and chapel train. 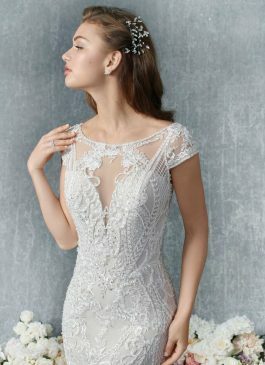 Beautiful lace fishtail dress with racer neckline. 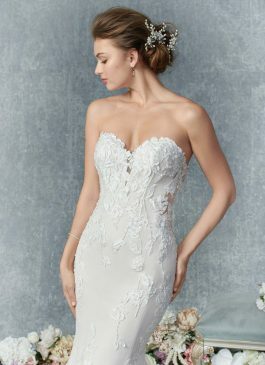 Two beaded straps line the back of the dress giving a spectacular finish and open back. 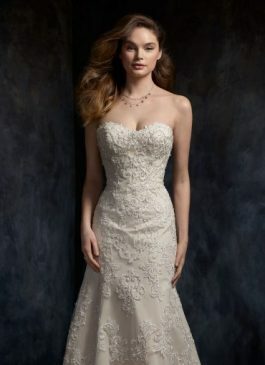 Gorgeous sheath dress, with dropped waist and chapel train. 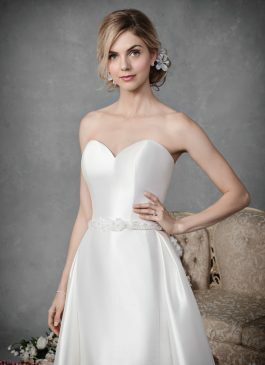 Satin full A-line dress with a lace bodice, V-neck with spaghetti straps and pockets. Optional panel. 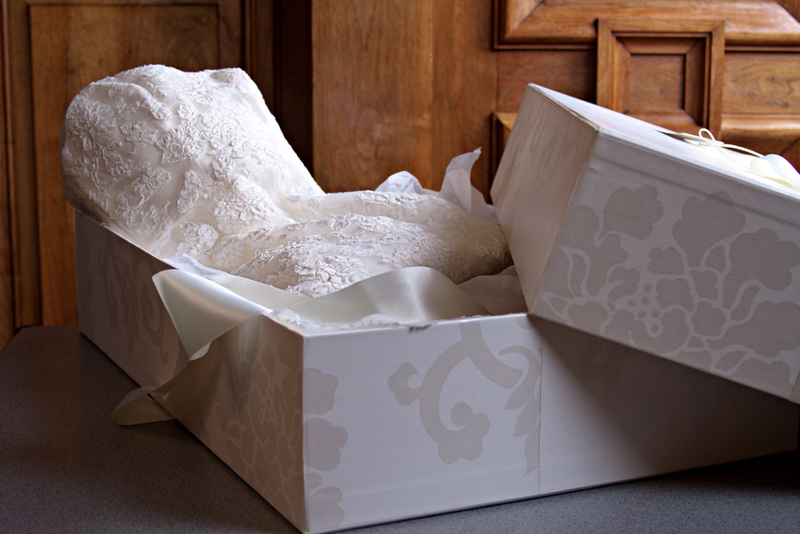 A stunning wedding dress that would be perfect for an understated bride! 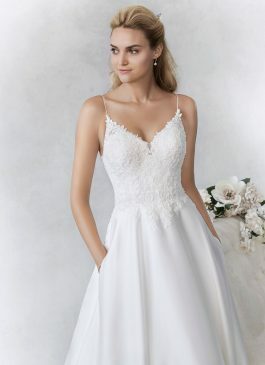 Form fitting crepe skirt, and lovely lace bodice which has a detachable lining. 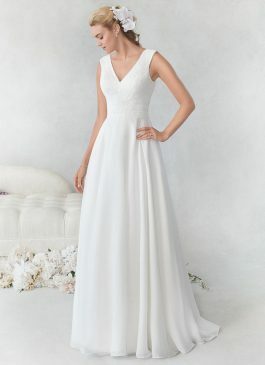 A beautiful A-line dress, with an illusion neckline, natural waist, and court train.